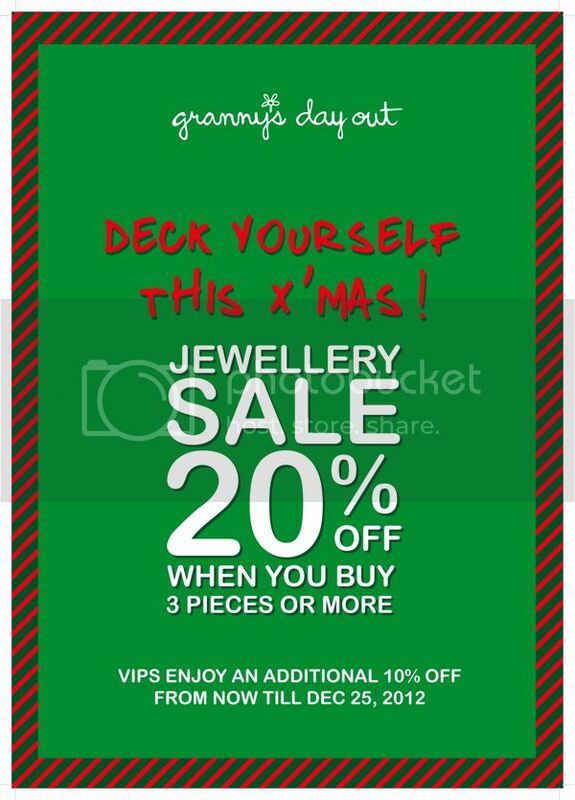 X’MAS PROMO – 20% Off Vintage Jewellery when you buy 3 or more! Hello, Grecian goddess, where are you going? 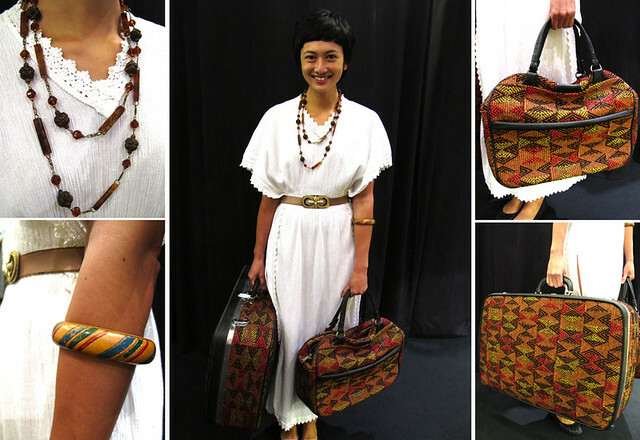 Look like a travelling vision in white with this Grecian (seriously, it’s made in Greece) cotton maxi dress (Size: M/L). It’s got lovely trimming along the sides and collar, and is very comfy. You can wear it on its own or with a belt. For accessories, we chose a simple wooden bangle and a long 1920s beaded necklace. The necklace is genuinely old, and from the flapper era. Wear it as a singular strand, or looped round twice like we have done here. Orange and black isn’t just associated with Halloween! Orange is a great accent colour, and goes great with colours like brown, tan, grey, white, blue and black. Here’s a cute non-spooky orange, black and white vintage 1970’s dress that’s in store now. It features a lovely foliage of leaves and round orange flower prints on the decolletage, sleeves and skirt. We’ve paired it with the cutest vintage 1960’s black and white mod earrings (they look like spaceships! ), and vintage sunnies (New Old Stock). It’s what a perfect fit looks like! Make that two! Cleo walked into the store today, tried on three pieces, didn’t have to alter a single thing, and bought them all,.Easy peasy! 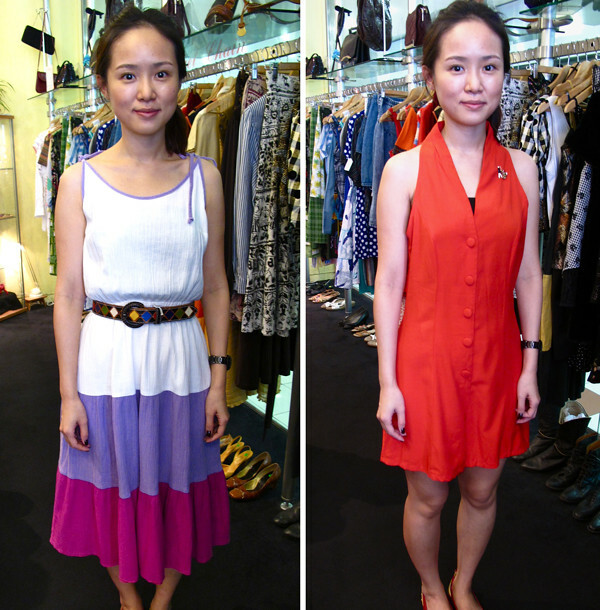 In this photo, she models two pieces she bought: the kueh lapis dress featured earlier on our wall, and a cute 1980s red romper. Here’s a girl who makes a vintage dress look up-to-date. Our customer Kara-Anne models a sweet 1980s floral dress with an equally sweet smile. We’re glad you found something at GDO, Kara-Anne!